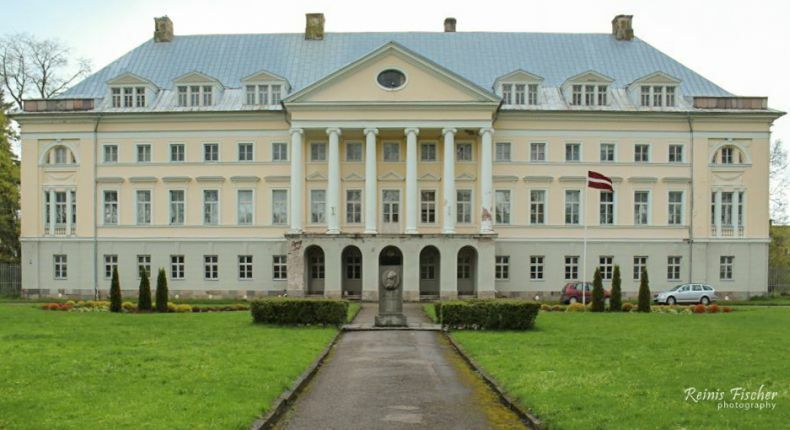 Kazdanga manor is located in Courland historical region of Latvia. As I have already stated back when visited Snēpele manor - Latvia is a land of old manor houses and palaces, they dates back from the times when German nobles ruled this territory. A lot of manors one (perhaps you) can find in a historical region of Courland. As usual, I took my camera and headed here to photograph this manor. I spent a few minutes on this cobble playing with my gorilla pad and my cameras aperture settings, and in fact, I really enjoy this image. I did find some similarities in this image with Chateau Mukhrani back in Georgia. This time I didn't use a tripod. 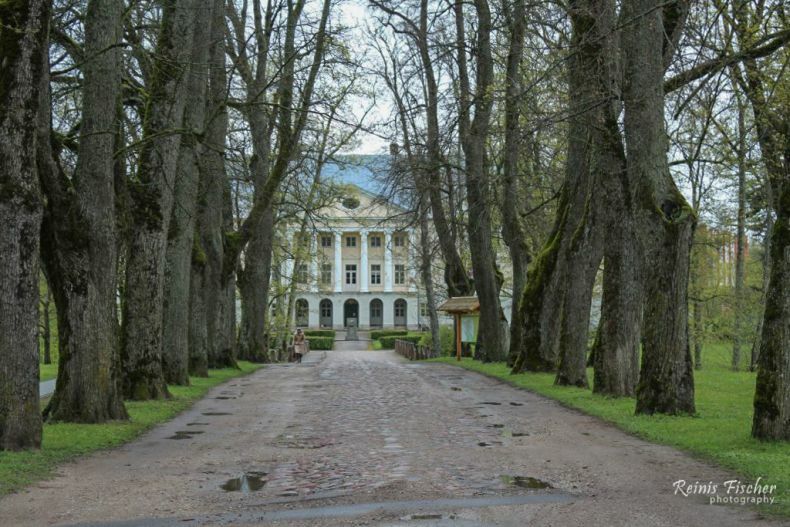 Kazdanga Palace is located in the village Kazdanga , Latvia. The first manor house was made out of wood and the new palace was built in 1800-1804 in the late classical style, designed according to the project by the German architect J. G. Berlitz. 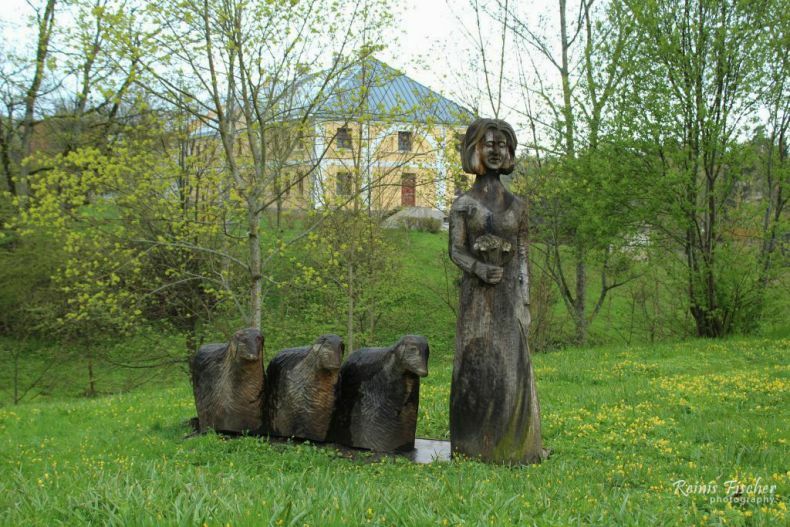 Kazdanga established the first Latvian fish pond, now in operation for a number of important agricultural schools. The palace was built in the years 1800-1804 in the style of late classicism, built by the project of Johann Gottfried Adam Berlitz. There is a stone bridge, leading to the palace. On the other side of the river, there are remnants of the manor buildings; the house of the servants, stables, the house of the steward and barns. The palace was burned down by local peasants during the Revolution of 1905. However, German baron von Manteuffel renovated it by the project of Paul Schultze-Naumburg in 1907. The renovation of the Kazdanga palace became an important event for the development of the Neo-Classicism style. It was designed by the well known German architect and Neo-Classicism Paul Schultze-Naumburg. In contrast to scenic, borrowed forms, the architect declared a return to the Homeland tradition and accuracy. During the First World War, the palace was again devastated. It was rebuilt between 1925-1927. In 1930 the Kazdanga Agricultural Trade School was housed in the palace. The school is still situated there. Near to the palace is a house of chevaliers. It has well preserved interior, like baroque style stairs and ornamented parquet floor.